Lost 3-1 in Binghamton. Strax had the goal. Stolie in net. Shots 35-27 Phantoms. My card: Rosie 10, Stortini 9. Lost (OT) 6-5 in Wilkes-Barre. In a wild one the Phantoms surrendered leads of 4-1 and 5-2 to grasp defeat from the jaws of victory, as the Pens tied it with five seconds left. They were out-shot 41-24, with Stolie in net versus Foster and Palazzese. Goals by Goumas, Bardreau, DeSimone, Comrie and Martel. Lost 4-2 in Hartford. The Phantoms held a 2-0 lead, but were out-shot 47-30. LaBarbera in net. Hardly seems fair to say he got the loss with that many shots on goal. Goals by Conner and McDonald. Lost 3-1 in Rochester. 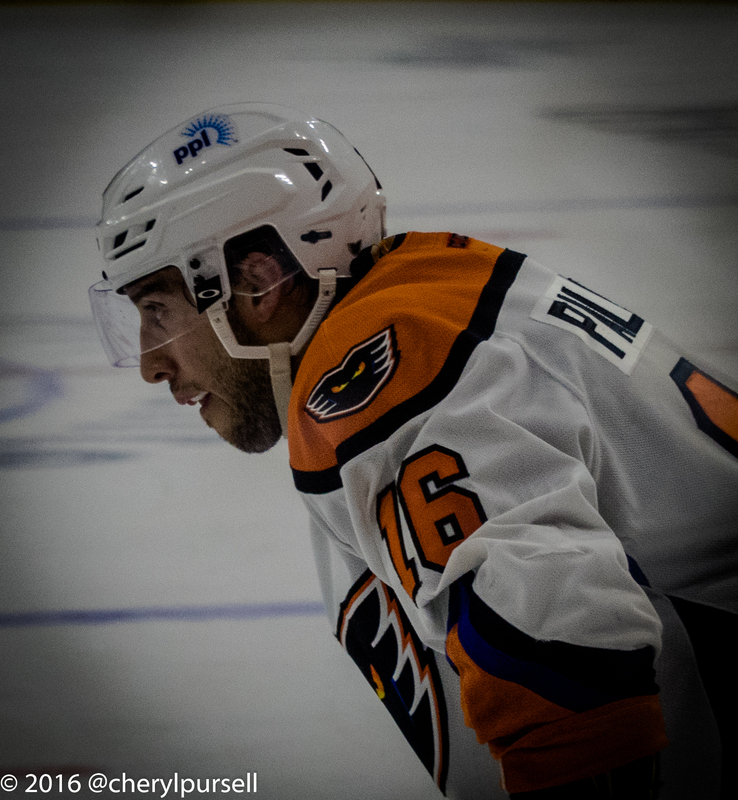 The Phantoms were able to out-shoot the Americans 43-31, but couldn’t get the goals. Stolie in net, Palushaj with the marker. Lost (OT) 3-2 in Toronto. 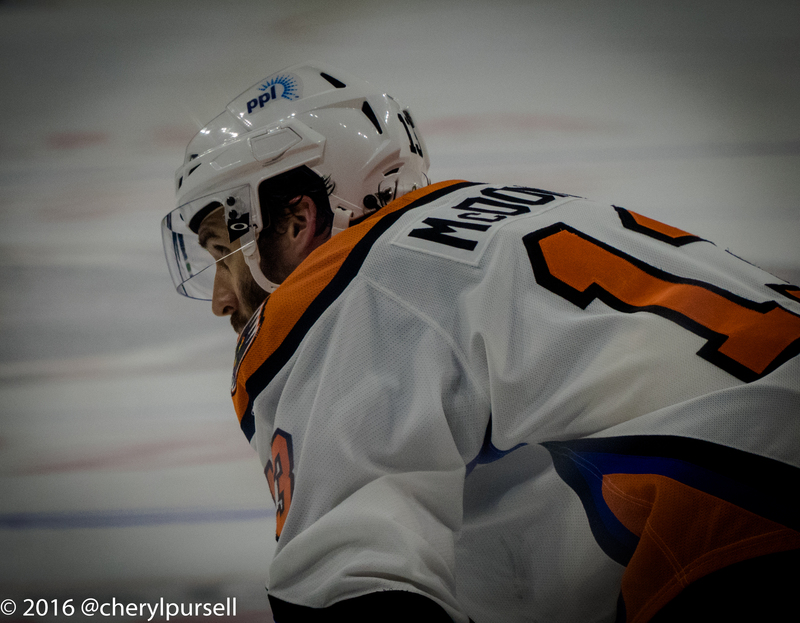 The Phantoms held a 2-0 lead with 5 1/2 minutes left, but still managed to lose anyway. They were out-shot again, 37-25. Stolie in net. Brent and Straka had the goals. While not mathematically eliminated, for all intents and purposes, the Phantoms shall miss the playoffs for the seventh consecutive year–not since they left Philadelphia. The curse of Phlex, perhaps? Out of 15 teams in the Eastern Conference, 8 will make the playoffs. More than 50%. Anthony Stolarz had a quick call-up during the above stretch, but didn’t play for the Flyers yet. Mark Alt missed time with injury during the road trip, but returned. Tim Brent returned to the lineup. He had been out for some time following injury/surgery to his hand/wrist. Kevin Goumas and a now-healthy Kevin Sundher were sent to Reading, to assist with their playoff run. With Brent healthy, and Dalton Smith available, it was the prudent move. Both should be able to rack up the required 5 ECHL games in order to be eligible for the Royal’s playoff roster. Goums booked a hattie in Reading shortly thereafter! The Phantoms/Flyers signed University of Maine senior center and captain–and Reading native–Steven Swavely to an ATO. He’s wearing #42. Jason LaBarbera had been nursing some nagging injury, then got hit with a puck in the hand. He’s better and returned to play during the road trip. Max Lamarche was nicked up along the way–in Hartford I believe. Blog-favorite Jesper Pettersson was called to replace him—on paper. Petey never made it to the team, as far as I know. He’s still with Reading and playing an important part in their defensive rotation as they charge towards the playoffs. Max has remained out of the lineup. The Royals had won five in a row headed into a weekend rematch with Norfolk last night. They lost in a shootout. Goums had an assist on the goal, and went first on the shootout. Both he and Alderson were stopped. The Royals currently occupy the sixth seed in the playoffs–with our old friends Adirondack just ahead of them, and Wheeling nipping closely behind. Perhaps if we want some playoff hockey in April and beyond, a short drive West might be in order–especially if our friends Goumas, Sundher, Alderson, Luukko, Padakin and Pettersson are prominently involved! The Portland Pirates–AHL affiliate of the Florida Panthers–are in town for an afternoon puck drop. Portland currently occupies the 8th and final playoff seed in the Eastern Conference as a “cross-over” from the Atlantic to the North. If you’re cheering for miracles, well, we’re going to need this game. Tickets and Parking: Scattered seats are still available as of this writing. I believe it will go ‘SRO’ at some point today. Tickets are sparse on the secondary market, and unless you’re waiting for the SRO discount, it might be smart to secure tickets before you head downtown. With snow in the forecast, parking in a deck (and not on top) rather than a surface lot, might be advisable. To pre-purchase parking in the Arena (Linden/North) deck, go HERE while supplies last. Then again, remember that meter parking on Sundays is not monitored, so that’s another option. Disclaimer: They can always change their policies at any time and without notice. Park at own risk. Promotion: Post-game autographs will be available along the concourse for a limited time, tonight. Quick pictures might be allowed depending on the enthusiasm of the guard with each player, but they’re sure to keep the lines moving regardless. Try to leave this whole thing for the kids, huh? Concessions: A variety of meat-free items are available at various locations around the arena, during Lent. Broadcast: The game will be on TV via Service Electric TV-2, as per usual. Tune in for the pre-game tonight at 4:30PM as Kristi will have features from Philly on Ghost and Nick Cousins. Pre-Game: With the March Madness, you might want to get downtown early if you want a table at Chickies. Other places should be a little easier, but check to make sure they’re open on Sunday–not all are. Hook and Bell Hall are two notables that are closed Sundays. I know I’ve frequented grain. and BrewWorks other Sunday games, so they should be open. Perhaps some of these places should consider opening up on Sundays when it’s a Hockey Night or other event–they could put a disclaimer on their website. Last game we went to Hook again, this time for their new Happy Hour. It was good–and cheap. It was new, though, so I’m not sure if it’s still evolving or on which nights they’ll feature it. It’s worth checking out, and a short walk down the Arts Walk to the arena. I also finally got to Crust the other day. I know, right? Yeah, it was good; they put out a nice buffet spread for the Phan Club watch party for the Binghamton game a couple weeks ago. Tonight? It’s hard to say. Kram III has soccer in the afternoon, and he may be hungry which might lead us to Chickie’s–but he’s not afraid of better food, either, so you never know. A post-game bite to eat is also a nice plan on a Sunday, but again, we’ll have to check out which places are open and how much homework he has put off until the last second. Watch 42 Swavely–see if maybe he’ll be invited back for next season. College signings are a good way to build system depth, and find the occasional diamond. It’s something I think the Flyers need to do more of if they expect to stock the Phantoms with talent, top to bottom. It’s not just for nepotism and local boys. With the cold reality that the Phantoms will not be in the playoffs, watch to see how they respond to a team clinging to the last spot in the playoffs–in a building where the road team has a decided advantage. Watch to see if they wear the orange alternates. They seem to play slightly better in them. Watch to see if Colin McDonald can make it back from his injury. Watch the defenders. Recently, there have been far, far too many shots on our netminders. Which pairs are most effective? Which, not? Is there a weak link? If LaMarche is still nicked, they can’t really go 11F/7D like they have a bunch this season. Is that part of the problem? Watch Twitter. Check if anyone is tweeting about the game, but not in the building. That’s not allowed, I’ve learned, and the offender will be subject to Twitter-shaming and name calling. Seriously, though, hockey writers are driving me crazy. All I want is information, and they all seem to want to drop the gloves with each other. It’s not just our guys, either–I’ve seen some stuff out of Philly, too. I used to think the baseball beats were bad, but all they do is complain about the free food. With the change of sports seasons upon us, it’s time to start thinning the heard. We’ve got four in a row at home: after today, we’ll have Wednesday home for Hershey, Providence on Friday and Hartford on Saturday–and that will be it for March. In April, we have three home games left–the first is up against a baseball game in Reading, the second up against IronPigs, and the final one will be on a day when IronPigs AND Steel FC are also home–but the start times staggered to allow for a triple-header? Stay tuned and we’ll keep you up to date! Even though the season is winding down, the Phan Nation is still hard at work. CLICK HERE for the latest.